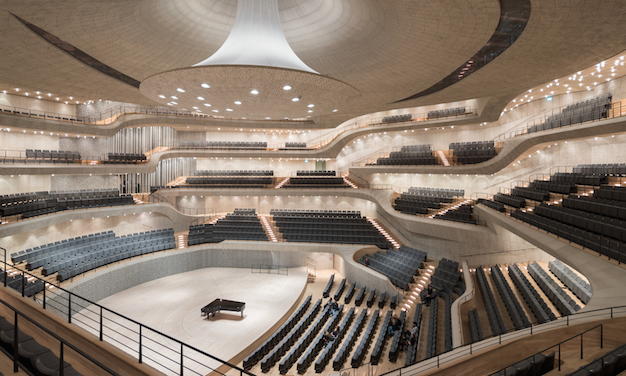 Hamburg is now home to one of the world’s most impressive music venues, which recently celebrated its opening with a lavish concert broadcast worldwide via a variety of media. Adam Savage went in search of the technical details. It may have taken ten years to complete, but it was worth the wait – back in January, the doors finally opened on Hamburg’s astonishing new concert hall, the Elbphilharmonie, which has been hailed as an architectural and acoustical masterpiece inside and out. Perhaps unsurprisingly after such a lengthy construction process there was no small amount of build-up prior to the opening concert on 11 January 2017 from the Norddeutscher Rundfunk (NDR) Elbphilharmonie Symphony Orchestra, which was given the honour of delivering the first performance in the spectacular Big Concert Hall alongside an 80-person choir, taking the inaugural audience on a musical journey from the Renaissance period to modern times. The concert, which offered a musical programme that included works from Ludwig van Beethoven, Benjamin Britten, Bernd Alois Zimmermann, and Richard Wagner as well as the premiere of a piece by contemporary composer Wolfgang Rihm, was recorded live and broadcast by NDR, a German public broadcaster situated in the North of the country. Sound for both the live transmission and recording was mixed in the NDR audio control room within the venue using a Lawo mc²66 audio production console. This studio forms part of an audio system that networks the mc²66 console with a further five Lawo mc²36 consoles – used for the sound mix in the Big and Small Concert Halls along with Hall 3 – as well as DALLIS I/O Systems via a Nova73 router using RAVENNA networking. This infrastructure enables each of the audio consoles to have access to all of the DALLIS units in the building, and provides coordinated access rights management. 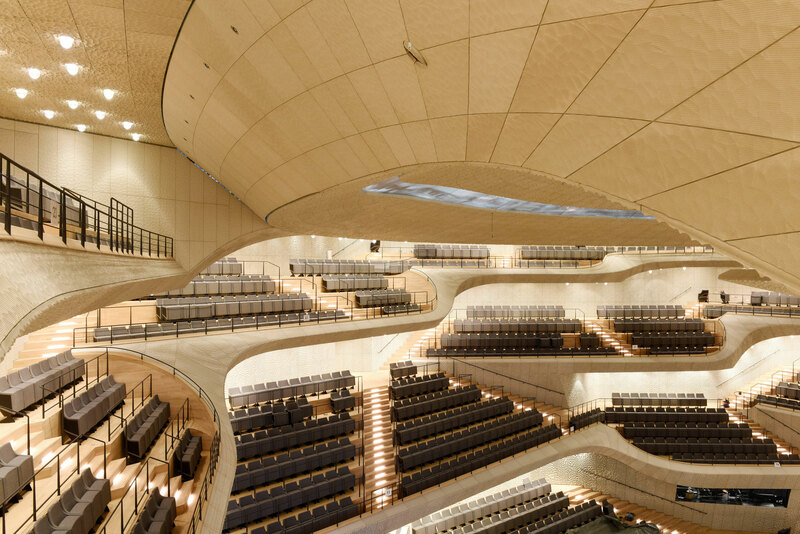 For parallel live broadcasts from multiple halls, this setup also allows for the link-up of an NDR OB van – currently NDR Ü42 – with the RAVENNA network in the Elbphilharmonie complex. 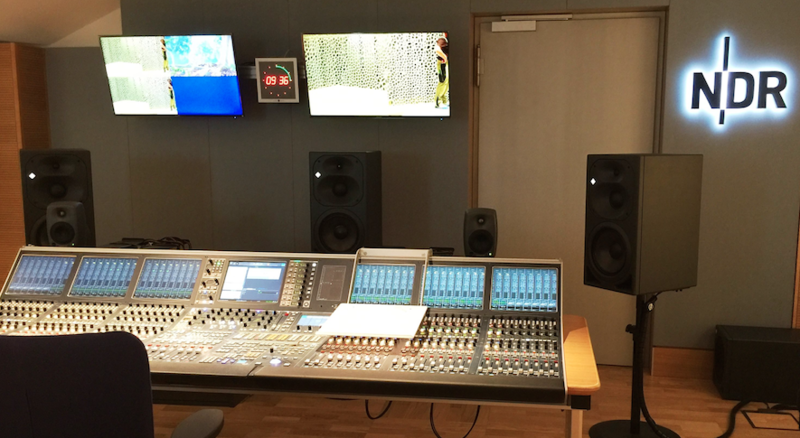 For the “moderation spots” there was an extra broadcast van on the side of the Elbphilharmonie where the mix of these sources was carried out by NDR production engineer Thomas Herter and sent to the broadcast studio on the 11th floor. There, Wernecke and Zeidler mixed the speech sources together with the surround and stereo music and sent it over RAVENNA to the main broadcast point at the NDR central switching point in the north of Hamburg, where it was distributed worldwide. As backup there was an autonomous Dante network beside the Lawo Nova 73 router, which provided the pair’s TV colleagues with all of the splitted microphone signals. “Thus we had their surround and stereo sums and they had our sums, so that in case of a power failure/dysfunction of audio hardware either in the Lawo network or the Dante network we could rely on each other,” explains Wernecke. The grand opening also saw Riedel provide NDR with a TETRA communications system from Danish manufacturer DAMM, as well as rent out 75 portable TETRA radios from Motorola Solutions. Brought in to ensure close contact between the technical and creative teams on site, the TETRA system was hooked up to the permanent Riedel solution that was also installed at the venue by integrator AMPTOWN System Company to ensure seamless communication. This is based around a Riedel Artist digital matrix intercom system comprising two Artist 128 mainframes alongside another two smaller Artist 64 frames. Around 50 control panels were supplied in total. One of the main requirements for the comms system was that it would allow any arriving OB vans like the NDR Ü42 to set up easily via plug and play over fibre, and that the various elements of it could be installed within unusually tight spaces for a venue built to hold more than 2,000 visitors at any time. 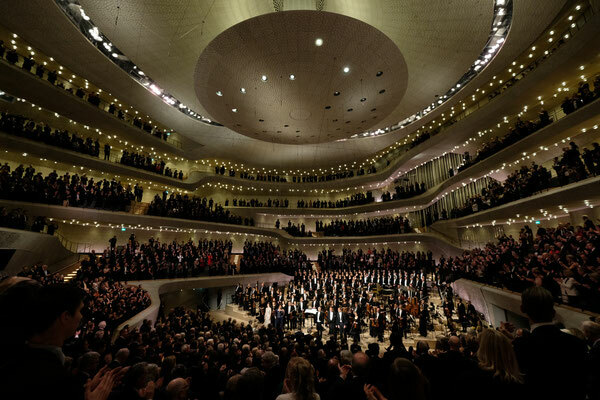 Although the implementation of the TETRA system required around two days of preparation, the whole network was made fully operational in less than 30 minutes, and NDR – which was already a big customer of Riedel’s – is now planning to use the same configuration for several more upcoming productions at the venue.